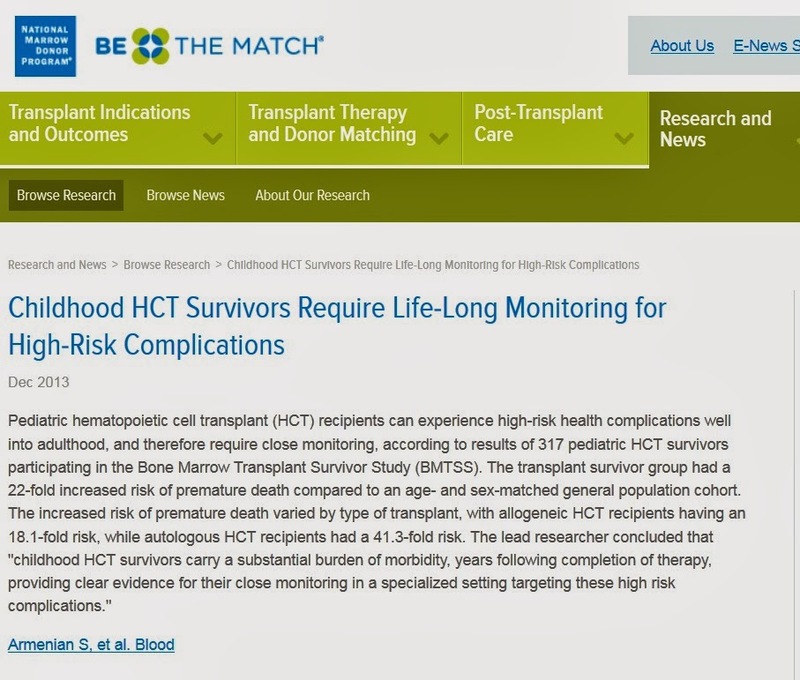 I received a hematopoietic cell transplant (better known as a bone marrow transplant) in 1996 for pediatric AML. Thus, when I came across the below article, I felt the need to share. Why? Not because I'm complaining about my survivorship status or because I'm hoping for a pitty party... I am sharing this because it is important understand where we are with cancer treatment. We cannot measure success solely based on the number of patients who survive the treatment or the number of patients that are alive 5 years later. We need to strive for cancer treatments that won't compromise morbidity and at the very least, understand that despite the cancer-free parties, it is entirely possible that a battle is still being fought.